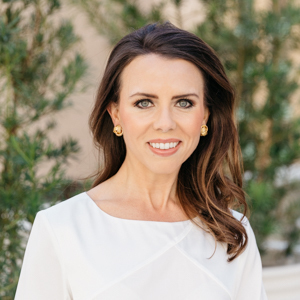 Texas native Ashley Thurman learned the real estate business from the best: her family, who have been involved in residential and commercial real estate all their lives, and top-producing Dallas agent Amy Detwiler, who has mentored her since 2014 when bringing her onto her team. Ashley is proud to be part of the Detwiler+Wood Group in Dallas, supporting Amy, in their specialty neighborhoods of Preston Hollow, Highland Park, University Park, North Dallas and Uptown/Turtle Creek. This powerhouse group has achieved record breaking production, garnering over $775 million in the past six years. Being exposed to diverse and complex transactions, and experiencing first-hand that no two clients or transactions will ever be the same, has been invaluable for Ashley. Combining enthusiasm with professionalism, attention to detail, creative negotiation and problem solving skills, she is intensely dedicated to assuring the best outcome for every client. Born and raised in Fort Worth, Texas, Ashley attended the University of Texas at Austin and enjoyed diverse experiences working at Kate Spade Corporate in NYC, working for a senior living residential real estate developer in Dallas, and as a bridal consultant before joining Amy. She realized that real estate was not only in her bloodlines, but in her heart. Living in Dallas for over a decade, Ashley resides in the Park Cities neighborhood where her children attend school. She enjoys being involved in their school and community activities, volunteering with various charitable organizations, and spending time outdoors, as her busy schedule allows.